January 2015 – Star City Games In-Store Programs Homepage! I’m a new organizer and I want to run Game Night in my store. What do I need to do? Game Night is a great program for new organizers because it’s flexible and easy to implement. Would you like to run a tournament every week? You can run Game Night! To start with Game Night, you need to have a brick-and-mortar store and membership in the Wizards Play Network, or WPN. Once you have signed up as a StarCityGames.com Organizer and been approved, all you have to do is use the “Click to Enroll” button in Organizer Tools and you will be signed up for next month’s Game Night! Game Night can be run any night of the week, as a new tournament or an add-on to tournaments already in your store, and you may distribute the Game Night prizes however you like. Questions? Contact gamenight@starcitygames.com and we’ll be happy to assist. http://isp.starcitygames.com/wordpress/wp-content/uploads/2014/09/mailbag-narrow.png 135 710 ISP http://isp.starcitygames.com/wordpress/wp-content/uploads/2019/01/ISP-2019.png ISP2015-01-27 12:51:522017-04-13 12:50:53I’m a new organizer and I want to run Game Night in my store. What do I need to do? 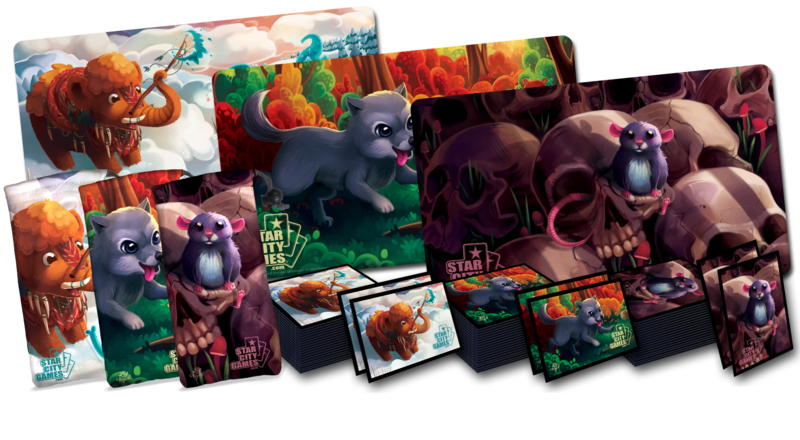 The StarCityGames.com Creature Collection is bigger and better than ever in 2015 and we’re excited to offer you special Creature Collection Retailer Bundles of our first-quarter designs! Our first-quarter Creature Collection designs match the Game Night themes from January through March, making them a great way to add value to those weekly tournaments in particular and all your Magic tournaments in general. Our adorable Creature Collection products also make great impulse purchases in your store and at events! Each 27-item Creature Collection Retailer Bundle, a $233.73 retail value, is available for just $124.99! StarCityGames.com is also offering first-quarter 2015 Parody Retailer Bundles! 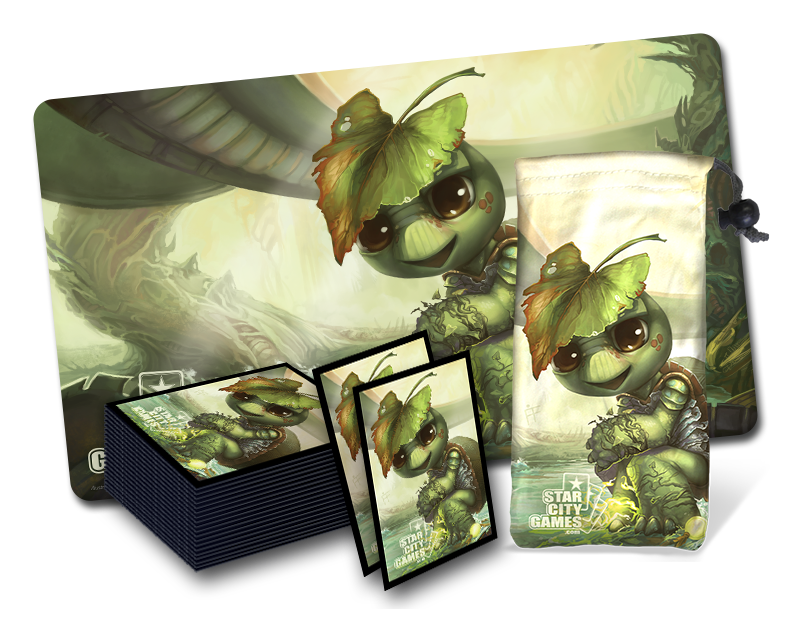 These bundles feature our new card parody, Eturtle Witness, and includes FIVE Eturtle Witness playmats, sleeve packs, and dice bags. Each 15-item Parody Retailer Bundle, a $154.85 retail value, is available for only $79.99! Order your Creature Collection Retailer Bundles and Parody Retailer Bundles now! http://isp.starcitygames.com/wordpress/wp-content/uploads/2014/09/news.png 109 710 ISP http://isp.starcitygames.com/wordpress/wp-content/uploads/2019/01/ISP-2019.png ISP2015-01-14 12:30:262017-04-13 12:50:53Order Your 2015 StarCityGames.com Creature Collection Retailer Bundles! Happy New Year! While I’m not one for resolutions, we do have plenty of goals for 2015. Number one is to continue improving In-Store Programs to offer you the best value and support for your business that we can. We already have some exciting news and announcements to help start off on the right foot. First, a little bit of housekeeping. Over the next few days you’ll notice the Total Points section of your Organizer Rewards Points drop back down to zero (or at least to a very low number, if you’ve already run an event in 2015 or are signed up for Game Night). Meanwhile, your Available Points and Pending Points will remain unchanged. So what does all this mean? All the points and rewards you earned from 2014 are still there. If you ended the year at Level 2, all those benefits are in place until the end of 2015! Speaking of Organizer Rewards, the goal was to create a system that provides increasing benefits as you participate in ISP. I’m happy to announce that the point thresholds for 2015 have become even easier to reach. First, Game Night now awards 100 points per month, with 50 bonus points each month if you are enrolled in automated billing. Open Trials moved to a base of 100 points, but also now have the potential for 100 bonus points! The biggest change to Organizer Rewards: we’ve reduced the points required to reach each level! With more points being given out for events and improved thresholds, we hope to see even more of you earning the benefits of Organizer Rewards! Speaking of benefits, we have a big addition for you, starting right now: the Flexible Payment Option! Eligible organizers may now defer their event fee until 30 days from the day of the tournament, while still receiving full marketing benefits from the date the event is approved. Full details are available here. We thank you all for a fantastic 2014 and look forward to an even bigger and more rewarding 2015! http://isp.starcitygames.com/wordpress/wp-content/uploads/2014/09/news.png 109 710 ISP http://isp.starcitygames.com/wordpress/wp-content/uploads/2019/01/ISP-2019.png ISP2015-01-02 16:58:022017-04-13 12:50:532015 Organizer Rewards Updates! For any small business, flexibility is key. StarCityGames.com In-Store Programs is proud to offer a Flexible Payment Option (FPO) for eligible organizers who’ve reached Level 2 in Organizer Rewards. The Flexible Payment Option allows organizers to defer payment for most events* until 30 days before the event date. Once approved for FPO status, you will receive these benefits indefinitely. All you need to do is maintain Level 2 status and ensure that your event fees are submitted at least 30 days before their start dates! Event fees received after that period will result in cancellation and temporary suspension of FPO status. For full FPO details, please review the Organizer Rewards FAQ. To apply for the Flexible Payment Option, simply email your regional representative or call 540-767-4263 x292. * FPO not available for Game Night, States, and Regionals. Late or failed payment for non-FPO events will count against FPO status. http://isp.starcitygames.com/wordpress/wp-content/uploads/2014/09/news.png 109 710 ISP http://isp.starcitygames.com/wordpress/wp-content/uploads/2019/01/ISP-2019.png ISP2015-01-02 16:41:242017-04-13 12:50:53Introducing Flexible Payment Option! April Event Scheduling Now Available! Also, check out the new Spring 2015 Invitational Qualifier and Open Trial artwork! http://isp.starcitygames.com/wordpress/wp-content/uploads/2014/09/news.png 109 710 ISP http://isp.starcitygames.com/wordpress/wp-content/uploads/2019/01/ISP-2019.png ISP2015-01-02 13:52:172017-04-13 12:50:53April Event Scheduling Now Available!